Dance Biopharm Holdings Completes over $24 Million Private Financing :: Dance Biopharm Holdings Inc.
SAN FRANCISCO, Sept. 19, 2018 (GLOBE NEWSWIRE) -- Dance Biopharm Holdings Inc. (“Dance”), a privately-held biotechnology company focused on the development of Dance 501, a proprietary ‘soft-mist’ inhaled insulin product to treat diabetes, is pleased to announce that Dance has completed a new private equity financing round securing $24.5 million. SternAegis Ventures, through Aegis Capital Corp., (“SternAegis”) acted as the exclusive placement agent for this offering. Molex Ventures, LLC, a subsidiary of Koch Industries (“Molex Ventures”) also made a substantial equity investment in Dance and helped anchor the round. 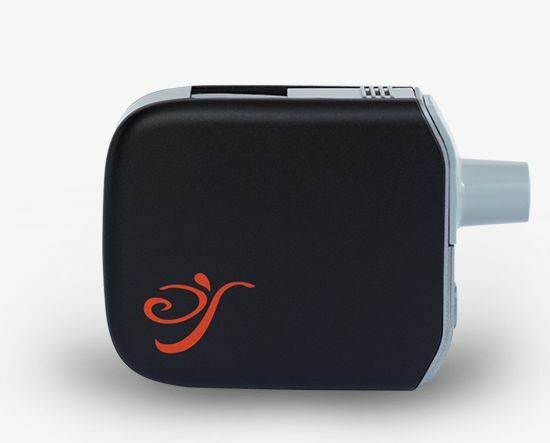 Molex, a leader in electronic solutions, is involved in the development of a version of the Dance 501 device that has internet data connectivity for better management of diabetes treatment. Participants in the financing include a syndicate of institutional and individual accredited investors. The proceeds of the private placement will be used principally to fund human clinical studies, manufacture drug and devices for clinical studies, and for working capital and general corporate purposes. “This additional capital is important as we continue to prepare for more clinical trials for Dance 501 (our inhaled insulin product candidate for diabetes), and we are delighted to have SternAegis Ventures and Molex enabling this new financing,” stated Dr. John Patton, chairman of Dance. “We are proud to have facilitated another round of private financing for Dance. We continue to believe that Dance has an extraordinary product with the potential to improve the lives of millions of diabetes patients around the world,” stated Adam Stern, chief executive officer of SternAegis Ventures. In its 2015 report, the International Diabetes Federation, or IDF, estimated that approximately 415 million people worldwide suffer from diabetes. The IDF further estimated that global health expenditures attributed to the treatment of patients with diabetes was $673 billion in 2015, or 12% of global health expenditure. Type 2 diabetes accounts for 87% to 91% of all diabetes in high-income countries. According to the IDF, the number of patients with diabetes is expected to grow to approximately 642 million by 2040. For most patients with diabetes, the disease leads to serious medical complications. The long-term benefits of mealtime insulin therapy have been consistently demonstrated. Many clinical studies have shown that insulin is not only the most effective therapy for controlling blood glucose, but insulin also preserves pancreatic function to reduce disease progression. Although injected insulin is the gold standard for treatment, traditionally it has been the last drug taken by Type 2 patients. A typical patient can delay taking mealtime insulin for five to ten years in order to avoid multiple daily injections. Delaying insulin treatment, or refusing to take injections, eventually results in negative health consequences for the patients and enormous costs to health care systems. Now all of the major diabetes medical associations recommend the introduction of insulin earlier in the treatment process for Type 2 patients and continued use of insulin by Type 1 patients. Dance Biopharm is a private company based in the San Francisco Bay Area focused on developing novel inhaled formulations of medicines to treat diabetes and other serious chronic diseases. The company began operations in 2010, founded by Dr. John Patton, who has over 25 years of experience developing inhaled insulin and other inhaled therapies. For more information, please visit http://dancebiopharm.com. All statements other than statements of historical fact included in this press release are forward-looking statements that are subject to certain risks, trends and uncertainties that could cause actual results and achievements to differ materially from those expressed in such statements. We have based these forward-looking statements upon information available to management as of the date of this release and management’s expectations and projections about certain future events. It is possible that the assumptions made by management for purposes of such statements may not materialize. Actual results may differ materially from those projected or implied in any forward-looking statements. Such statements may involve risks and uncertainties, including but not limited to those relating to our limited operating history, our ability to successfully develop Dance 501, the cost and uncertainty of obtaining regulatory approvals, and changes in the competitive or regulatory landscape.